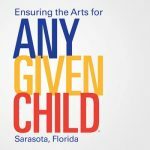 The Arts and Cultural Alliance of Sarasota County invites you to visit one of the many collections of public art located within Sarasota County. Each year Sarasota’s bayfront is home to the Embracing Our Differences art exhibit. Embracing Our Differences believes that diversity is one of the world’s greatest assets. To realize the promise of diversity, we must ensure that everyone is respected, included and valued for their individuality. Our goal is to create a community where diversity and inclusion are valued while teaching the importance of being an “up-stander,” not a “by- stander.” Each year the Embracing Our Differences international art exhibit gets bigger and better. Our 14th annual exhibit in 2017 was no exception as we hosted 212,000 visitors bringing attendance, since 2004, to more than 2,500,000. The 2017 exhibit received 10,761 submissions representing 115 countries, 48 states and 204 schools from such distant places as India, Iran, Israel, Vietnam and South Korea. For a complete catalogue of the City of Sarasota's public art collection click here. More information, including information on the Public Art Committee and procedures and policies related to public art, is available on the City of Sarasota's Website. 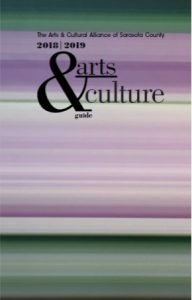 The Arts and Cultural Alliance of Sarasota County and SCENE Magazine annually publish a comprehensive Arts & Culture Guide for the Sarasota County region.